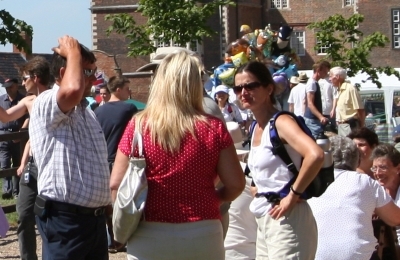 Enjoy a fabulous visit to East Yorkshire's best historic day out! 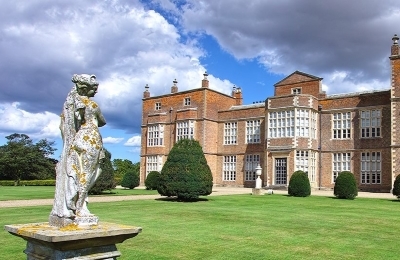 Burton Constable Hall, just 10 miles from Beverley and Hull, is one of Yorkshire’s most spectacular historic country houses, and one of its best kept secrets: a real treat for group visitors! 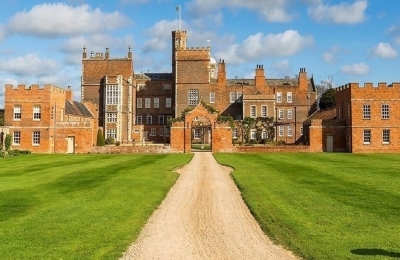 With over 30 rooms crammed with fine arts, furniture and many surprises with over 500 years of family history; plus over 300 acres of historic grounds to explore, Burton Constable is a great place for groups at any time. Burton Constable has had its share of what would have probably have been called 'difficult' women over the centuries and this new exhibition shines a spotlight on these generations of women who have shaped and contributed to the development of the Constable family and the Hall itself. This exclusive tour of the 'Difficult Women' of Burton Constable exhibition with the Curator will give you a deeper and more detailed insight into these extraordinary and sometimes colourful women through their fascinating and somewhat surprising, stories. The price is £20.00 per person for groups of 15+, maximum 32 people. This 1 hour tour starts at 11am and includes a self-guided tour of the Hall and entry to the Grounds & Stables. The chance to peek behind the scenes and explore hidden nooks and crannies, is irresistible, and Burton Constable’s ‘Cobwebs and Cream Teas’ special guided tours offer just that chance … with knobs on! And a sumptuous Afternoon Tea is included in the tour price, to be taken after the tour. Cobwebs and Cream Teas tours cost £28.00 per head. Groups of max 16 persons on each tour. Larger groups are welcome, with two tours running concurrently. Lancelot 'Capability' Brown designed the stunning grounds and parkland here at Burton Constable in the eighteenth century and it is the best documented example of landscape worked by him. Group visitors can explore Brown's stunning parkland with our one hour guided 'Capability Brown's Parkland Tours' £9.00 per person. Or why not enjoy an exclusive evening visit to this place of calm and tranquility that also includes supper in the Stables Kitchen and an introduction and guided walking tour with one of our expert guides. Duration is 2.5 hours and costs £28.00 per person. Both tours are for groups of 15+ (maximum 25 per tour). Multiple tours are available for the Capability Brown Parkland Tours. £9.00 per person for groups of 15+ (maximum 25 per tour, multiple tours available) Minimum charge £135.00, or £4.50 if added to other tours. £20.00 per person for groups of 15+ max 32 people per tour (minimum charge £300). Duration 1 hour starting at 11am, includes a self-guided visit to the Hall and entry to the Grounds & Stables. Advance Booking is essential for all groups.